JINMO played an Axe "S". "S"..., the guitar "Steinberger GL7TA". This album is the "bare" raw data of the album "AxeS" before the effect processing. And this is the "core" of "AxeS" by only his favorite "axe"
and the special fuzz "Gohtengoh" made by Ideyha for JINMO. 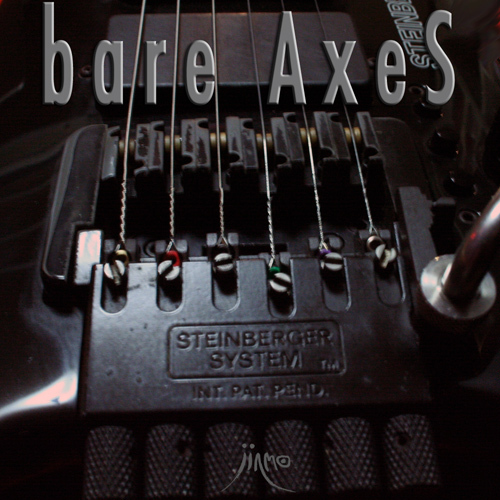 The album "AxeS" is the non-idiomatic improvisation soulscape. the naked Raw Data of the album "AxeS".